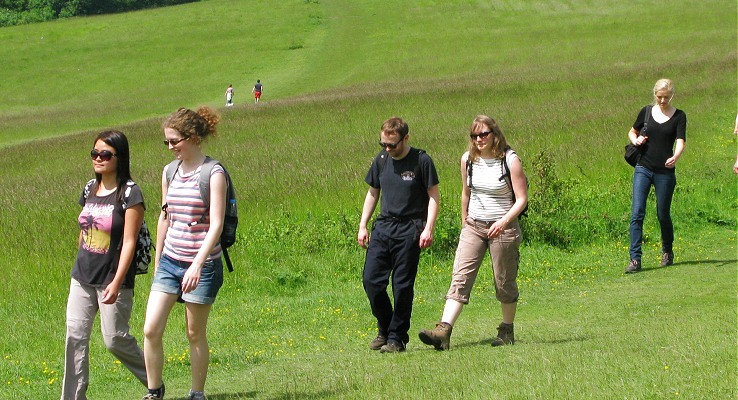 The annual challenge walk this year is based in Lewes! The walk starts from Lewes train station we will head up the first hill of the day up to the top of the Golf Course and making our way across the downs in an eastly direction taking in two more hills before dropping down into the village of Glynde. After stopping for a comfort break we will continue climbing back up onto the South Downs Way and heading westerly with excellent views over the River Ouse. We drop down from into the hamlet of Southease, crossing over the River Ouse and heading into up into the village of Rodmell. After a packed lunch, and a drink in the pub only we climb once more up onto the South Downs and circle around Highdole Hill and Swanborough Hill. We follow the footpath as it meanders around and up Castle Hill before joining back up with the South Downs way. Late afternoon we will continue climbing up Long Hill and circle around Ashcombe Bottom and around Black Cap before descending off the downs into the village of Offham where we will stop again for a comfort break and drink at the pub. The last miles of the day are the flattest along the River Ouse back to Lewes and the pub for dinner.